Previous PostNew Xbox 360 Portable Revision 5Next PostCheck out my YouTube Channel! you forgot to mention which charity it was. Actually seems like a pretty good cause. 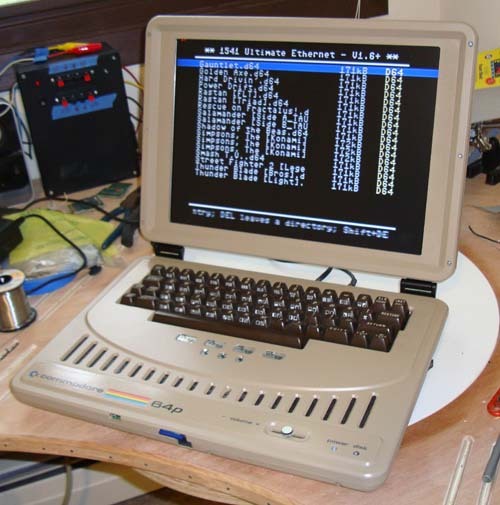 Wish I had more disposable income… I honestly love these C64 laptops. Wish he’d make more. The comment didn’t include the (charity) part in the link… so to get to the right page (instead of those terrible horror movies) you’ll have to copy pasta the whole line. “Since 2003, over 100,000 gamers worldwide have banded together through Child’s Play, a community based charity grown and nurtured from the game culture and industry. Over 3.5 million dollars in donations of toys, games, books and cash for sick kids in children’s hospitals across North America and the world have been collected since our inception. Im loving the laptop – fair play making it look so good!! Сразу видно, что автор креативный и интересный человек, почитала бы еще несколько заметок от него.